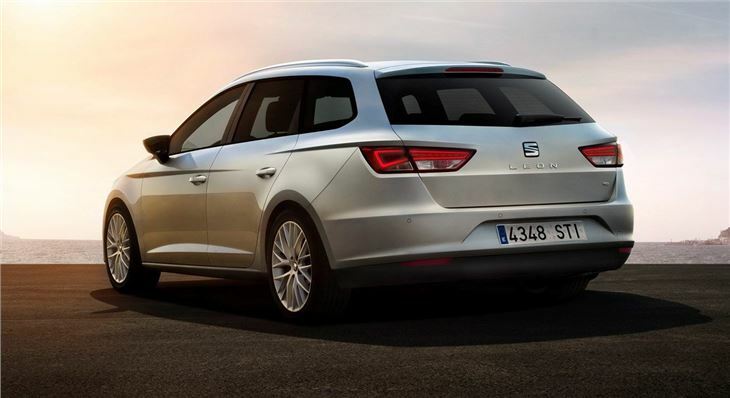 SEAT is not a manufacturer that you would normally associate with family estates. Indeed, the Spanish firm is better known for its performance models than load luggers, which begs the question, why has it decided to enter the space race with the Leon? Well, according to the big cheeses at SEAT, the manufacturer wants to broaden its appeal and entice ‘youthful families’ into its cars. 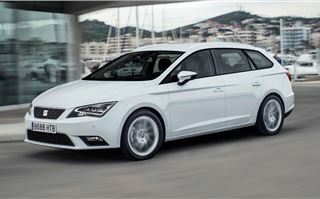 To do this SEAT has taken Volkswagen’s much vaulted MQB-platform (which was used to build both the Volkswagen Golf and Skoda Octavia estates) and created the Leon ST.
SEAT is hoping that Leon's first foray into the estate market will win over families who want a large and capable car, with added sport-inspired dynamism. 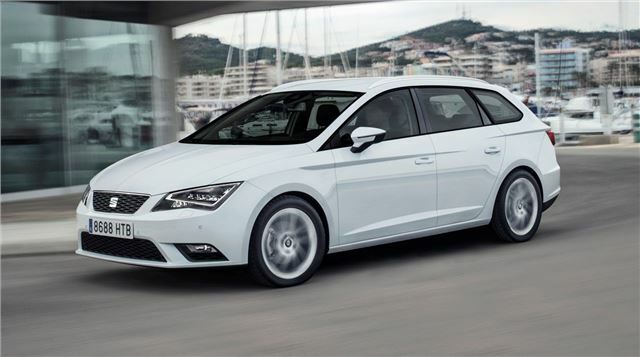 Prices start at £16,675 for the entry level 1.2 TSI petrol and rise to £26,630 for the range-topping 2.0 TDI diesel DSG, which places the Leon ST firmly in the estate heartland of Ford, Skoda and Volkswagen. The Leon ST is just 27cm longer than the hatchback version, but boasts an impressive 587 litres of storage, which outperforms some notable and much larger rivals, including the Audi A6 Avant, BMW 5 Series Touring and Ford Mondeo. As practicality goes it looks very impressive on paper. 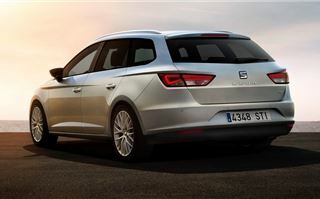 From the exterior, new SEAT is attractive and sleek, carrying over much of the sharp styling that was employed in the hatchback. The front of the car is dominated by a pair of attractive triangular headlights, which are separated by a honeycomb grille, while the rest of the car is smoothed over to retain a sporty but executive appearance. In our view this is one of the most attractive estates to emerge from the Volkswagen stable and it’s only the Audi A6 Avant that prevents it from being the best looking car in the entire range. 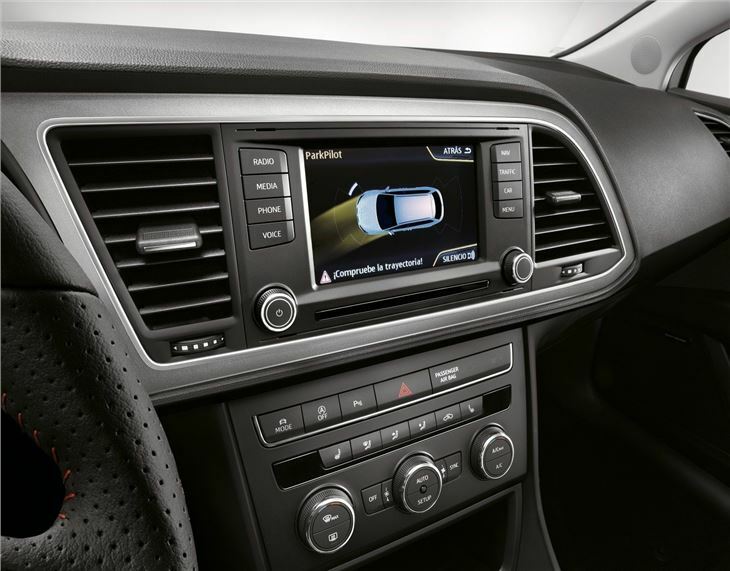 There are just three trims to choose from – S, SE and FR – with all getting Bluetooth, air conditioning, central locking and start/stop technology as standard. The SE boosts the appeal by adding 16-inch alloy wheels, front fogs and cruise control, while the range-topping FR gets all round parking sensors, 17-inch alloys and LED tail lights. FR models also feature adaptive chassis control, which lets the driver customise the car’s damping, acceleration and steering characteristics. Like the standard Leon, the interior of the ST is a big improvement over previous generations, with good attention to detail, fit and finish. 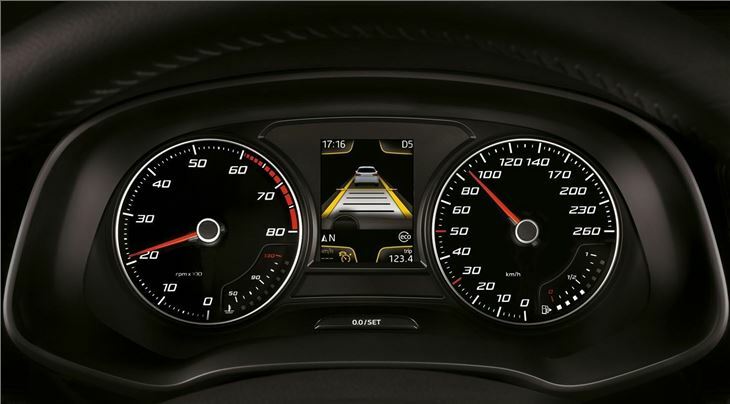 A large touchscreen – which controls radio, sat nav and drive dynamics – dominates the centre console, while the driving position is commanding and clear. Admittedly, the interior is a touch drab, with lots of grey plastics and lacks the class of the Volkswagen Golf and finesse of the Skoda Octavia, but the cabin is not an unpleasant place to be. 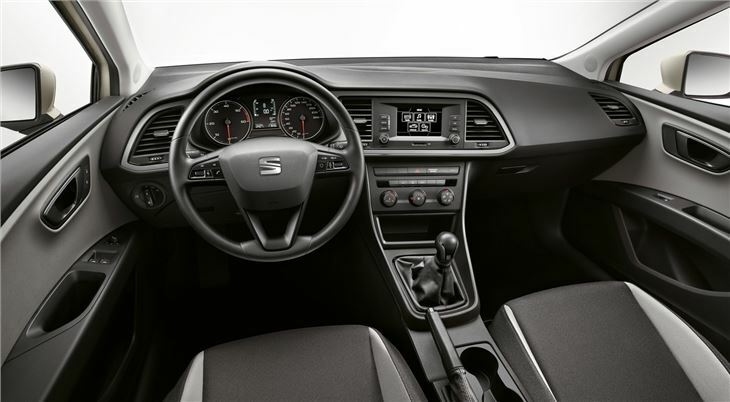 SEAT must also be applauded for its minimalist approach to the layout. Sometimes manufacturers seem to take the scatter gun approach to its cabins, but not here. 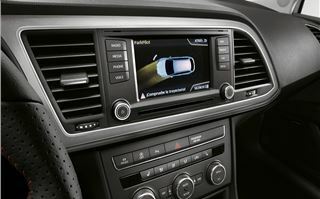 Instead everything is kept nice and simple, with just a handful of buttons to control the heating and air conditioning. Space, as you’d imagine, is plentiful and both the driver and passengers get plenty of leg and headroom. The rear seats are large enough to accommodate two adults or three children in comfort and can fold down to offer a maximum 1470 litres of load space. 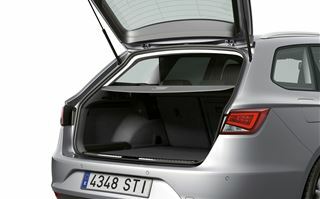 The Leon ST also gets a height-adjustable floor as standard, which lets you divide the boot to prevent items – like your weekly shop - rolling around the back. 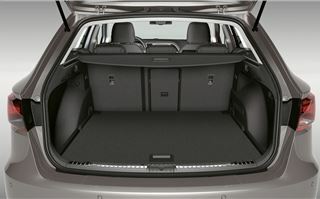 SE and FR versions get spring-loaded rear seats, which can be folded via a small handle in the boot and this feature is extremely useful, especially when loading the car. 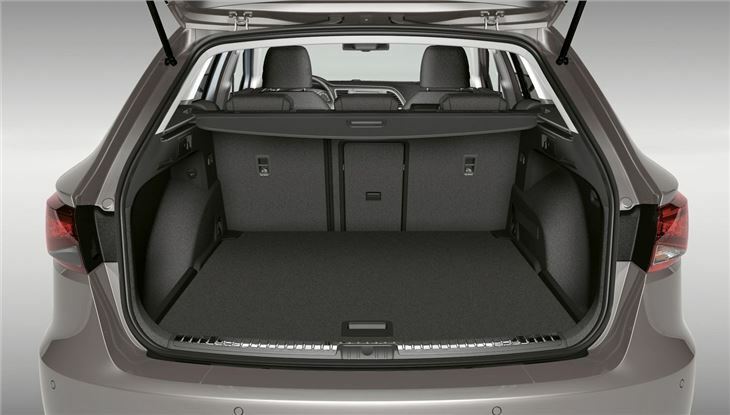 Although the rear seats do not fold completely flat, we think the Leon would carry most large items – like tables, chairs or drawers – with ease. The boot entry is also wide, with a very low load lip, which reduces the chance of knocking or scrapping the paintwork as you load/unload the car. The engine line-up is varied and impressive, with three TSI petrols – 1.2-litre, 1.4-litre and 1.8-litre – supported by two diesels – a 1.6 TDI and a 2.0 TDI. During our test run we only had access to one of the petrol engines – the 1.4 TSI petrol with 140PS – but we found it impressive and punchy, with plenty of torque. SEAT tells us the 1.4-litre unit will return 53.3mpg and emit 122g/km of CO2, while the entry level 105PS 1.2 TSI will improve those figures to 114g/km of CO2 with 57.6mpg. 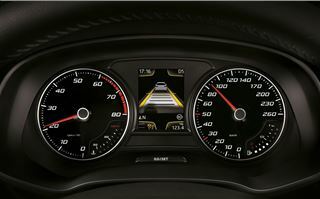 If power is your thing then there’s also a 1.8-litre TSI, with 180PS and 250Nm of torque at 1250 – 5000rpm. However, that performance comes at a price, with 137g/km of CO2 and 47.8mpg. It's an engine that works well in the Leon hatchback with a real hot hatch feel to the performance, so there's no reason it won't be equally as good in the ST. The 1.6 TDI comes in two versions - 105PS or 110PS. The higher output is used in the Ecomotive model and it's impressively clean emitting just 85g/km of CO2 and a claimed economy of 88mpg. Sadly, we only had access to the 2.0-litre TDI at launch, which comes in 150PS or 184PS. Both units are impressively refined and frugal too. Fuel economy is 68.9mpg for the 150PS and 65.6mpg for the higher output, although savings can be made with the option of the automatic DSG ‘box, which is available across the range. Otherwise the engines are mated to a five or six-speed manual, depending on power. It has to be said that the Leon ST is a rewarding drive. Road noise is kept to a minimum and even the smallest diesels are quiet. We were particularly impressed with the car’s handling, with light but responsive steering and little in the way of body roll. We tested the Leon in urban and rural environments and it coped very well. Given the choice, we’d opt for the 1.4 TSI or the 2.0 TDI 150PS - both strike an excellent balance between performance and economy. However, there is a fly in the proverbial ointment here in the form of the Volkswagen Golf Estate. Make no mistake, the Leon ST is a very accomplished car, but the Golf is bigger (605 to 1620-litres of load space) and better when it comes to cabin refinement. On paper the SEAT claws things back with price. The Golf starts at £18,000, which is almost £2000 more than the SEAT, although once you start moving up the Leon ST range, there's less difference in price between the two, which is a pity, because SEAT has worked very hard on the Leon ST and it shows. 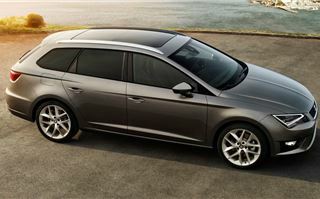 It's a very good estate but is up against some equally as impressive competition.